How do you know you really exist? A mind-bending mystery for anyone who's ever asked questions. From the author of The Many Worlds of Albie Bright and The Jamie Drake Equation. 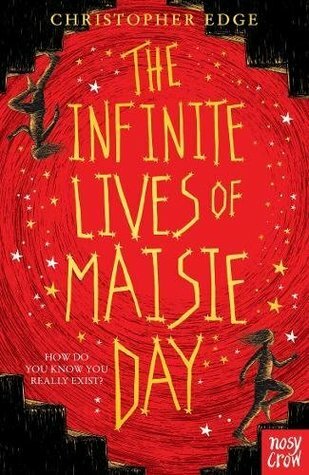 The infinite lives of Maisie Day was a really lovely read which I enjoyed. What I liked about it was that it had a young female lead and was completely focused around science and coding. There's not enough fiction focused on science that is female led and I loved it for that. The story is exciting from the outset with lots of twists and turns including time jumps and perfectly brilliant in that regard for keeping young readers engaged and excited from the outset.